VOX Transmitters are surveillance spying audio bugs, which feature a huge battery saving due to the fact that it only transmits when there is a sound activity in that area. VOX Ver.8 is mini spy bug for room surveillance, and will transmit for a long period of time. It uses one battery (Alkaline, 9V). 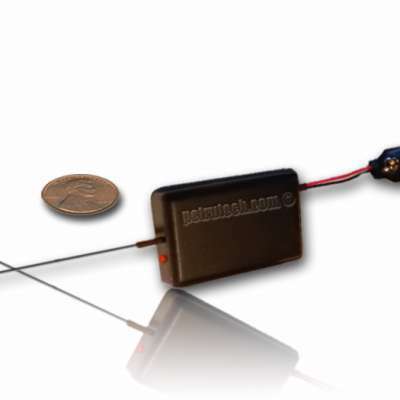 It uses the UHF ISM band for reaching excessive overall performance and privacy. The main function is the Voice Activation, therefore it transmits only while it hears voices. At some stage in quiet time, while nobody is at home or during napping time, it turns to standby mode, and it draws just a fraction than 1mA from the battery. The distance you may achieve is approx. 200m on constructed region and as much as 700m (line of sight). Maximal drawn current: 30mA. Maximal output 14Bm. outstanding sensitive microphone. 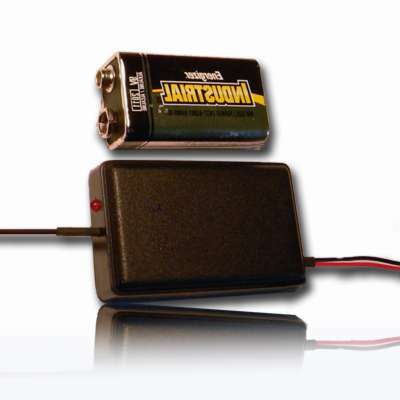 It requires an UHF receiver (we sell 3 UHF receivers) or an UHF scanner. This is one of the finest audio bugs available on the market! 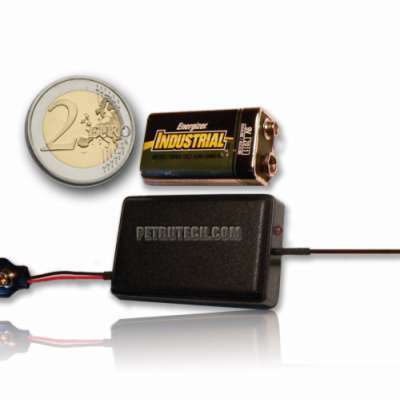 This transmitter is designed in particular for places wherein is hard to change batteries frequently. The VOX8 transmits a powerful, clean sound. The listening device is designed and tested in our specialised laboratory and in real conditions by means of excessive skilled engineers, for maximal distance. Recover the price in no time!!! Working Voltage: 9V ALKALINE battery. ABS BOX Dimension: only 4 X 3 cm ! Audio Compression: Amplifies weak whispers, suppress high noises !!! 30% less current than VOX7 - due to new components. Using SMD, for stability and range (MIL SPECS 1% accuracy). 7 stages EXTRA amplified output! Real NFM - Varicap controlled for power and stability. Using a patent pending material for encapsulating, for safety and security !!! Ground Plane design, less interferes with other devices. Frequency range of: 418MHz or 433MHz Crystal Controlled for high stability and PRIVACY. Its 4mm condenser microphone is so sensitive that you will hear a whisper from up to 100 sq. meters (120 sq. yard) around , crystal clear. You won't miss a whisper. USA made by Motorola, high amplification microphone. PROFESSIONAL GOLD PLATED BOARD FOR EXTRA STABILITY. 1 Crystal stabilized voice activated VOX8 PLL SPY BUG Transmitter. *The calculation on VOX mode for up to 20 days is with a 9V alkaline battery and assuming 2 - 3 hours of conversations per day (the total of all the activity of the day).